Mark Stoneman will become the 12th batsman to open alongside Alastair Cook since the retirement of Andrew Strauss in 2012. England have named the Surrey opener in their squad for the first Test of their series against the West Indies at Edgbaston, with the 30-year-old replacing his former Durham team-mate Keaton Jennings in the lineup. Jennings endured a miserable series against South Africa, averaging 15.87 from his eight innings, failing to notch a score over 50 in the four matches. The 25-year-old had a bright start to his career in India, and although he struggled against the Proteas, if he returns to the county game and scores runs his time with the Three Lions should come again. 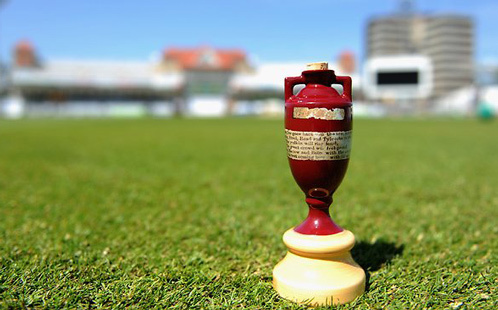 However, Stoneman now has the opportunity to come into the team and nail down his place for the Ashes. The 11 men before him have had their moments in early moments of their career, therefore it’s vital that the opener finds his feet immediately and more importantly is able to kick on. Despite their issues at the top of the order England managed to overcome South Africa and will be desperate to brush aside the West Indies to build momentum ahead of the Ashes. Root’s men are backed at 1/16 in the latest cricket betting odds to win the series, with the Three Lions aiming for a 3-0 whitewash. The Windies have struggled in Test series of late, losing their last six on the bounce. They will play without key players Chris Gayle, Darren Bravo, Darren Sammy and Marlon Samuels, with Jason Holder leading an inexperienced outfit. Therefore the Three Lions will be confident of delivering a dominant series of performance to end their summer on a high note. Edgbaston will host the first Test with a slight twist given that it will be the first day/night Test to be played in England. The players got a taste of the action in a round of County Championship matches, although a large portion of them were ruined by rain. Making your England debut is hard enough, but in completely new conditions to the game, Stoneman will have his work cut out to establish himself. He made 30 for Surrey against Yorkshire in their day/night contest, and for the majority of his career played on one of the most challenging grounds in the country for batting against seam bowling in Durham. The 30-year-old was an essential part of the north east side’s County Championship title win in 2013 and has been a perennial fixture at the top of the run-scoring charts in Division One. 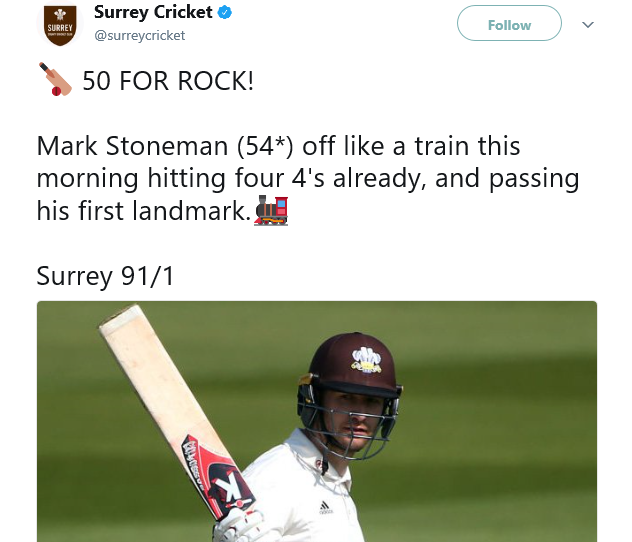 This term following his move to Surrey he has taken his game to new heights, averaging 57.23 and scoring three centuries. 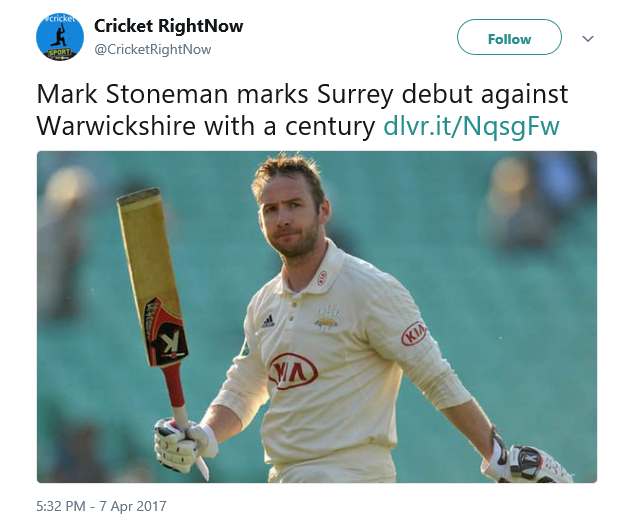 Only his team-mate Kumar Sangakkara has scored more first-class runs than the opener this season, highlighting the form Stoneman enters the first Test with. Previous men have come into the England side with form and have fallen by the wayside very quickly. The 30-year-old must ensure that he does not become the latest on the production line to fail to thrive alongside Cook at the top of the innings.